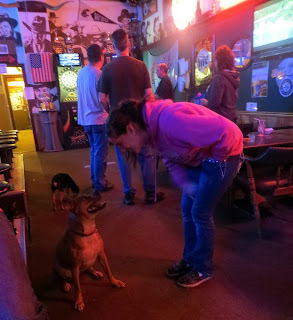 "Snohomish had a sensational shooting match Saturday night, in which one man was killed and two wounded. Two highwaymen, John Moore and Ed. Collins, attempted to 'stickup up' the bartender of the Inn saloon resulting in the death of Moore and wounding of Collins. 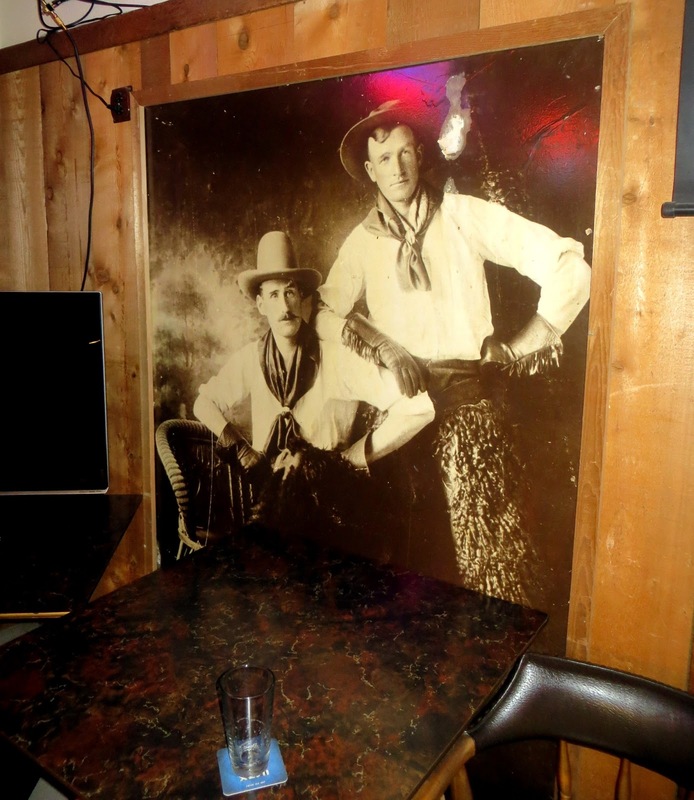 Shortly after 11 o'clock Moore and Collins, who had bought drinks at the saloon earlier in the evening, appeared and ordered all hands up. 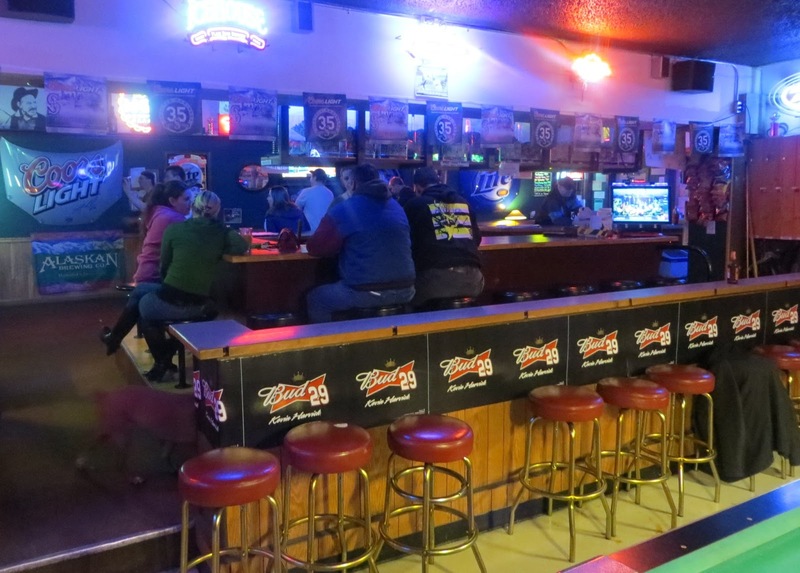 Gus Olson was behind the bar and jumped for his gun. Moore opened fire on but missed. At this juncture Patrolman Byllings appeared and took a hand in the melee. Moore was shot through the left eye and 'died' instantly. Collins was hit in the neck. Moore had wounded Byllings in the left leg. Collins says he met Moore working on the Cedar river dam, near Seattle. 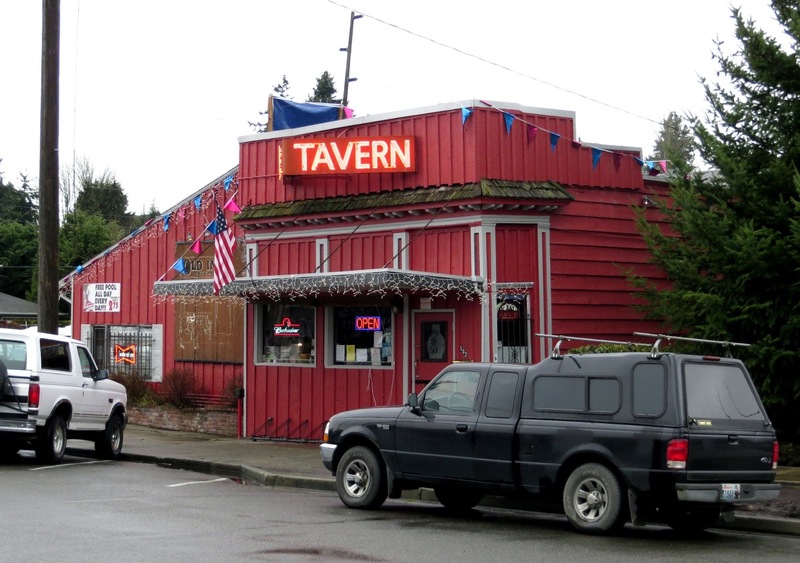 They quit and went to Everett, and after having a few drinks decided to go into the hold-up business, selecting Snohomish as the easiest place to begin operations. Moore was about 30 years of age and Collins is 27. Patrolman Byllings was congratulated on all sides for nerve he displayed and his good marksmanship." 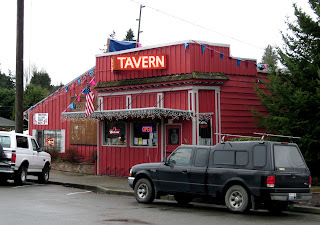 As we can see from the preceding article, the "Inn Saloon," which became known as the "Old Inn Tavern at some point during the 1940s and still operates under that name today, is one of the oldest bars in the state of Washington. I do not have primary sources to confirm these exact dates, but from Don Thompson, the current owner, it appears that the the Inn Saloon dates back to 1898, and the building it has been in all this time dates to 1889, constructed at the end of the Union Pacific railroad line and providing rail workers a place to sleep and have a cold beer. Along with Merchants and the Brick, this would make it one of the three oldest bars in the state, in terms of establishments that have been running with limited interruption (e.g. 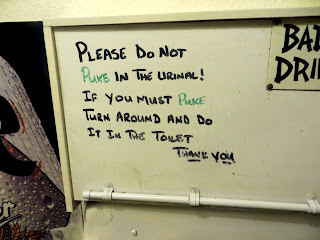 prohibition) and under basically the same name. Archaeologists say that man has been living in this river valley since at least 12,000 years ago. Many millenia later, members of the Tulalip, Pilchuck, Snoqualmie and Snohomish tribes numbered about 1,000 people here. Europeans arrived in 1858 from Seattle, with agriculture and logging dominating the community for 100 years. As the town declined with the closure of the mills, it re-made itself into a historical and antiquing destination, including a lively bar scene. 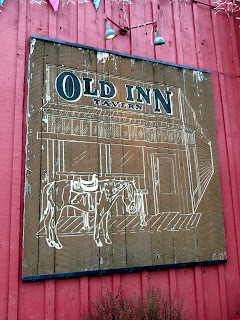 The Old Inn Tavern is now a very comfortable local joint, off the main drag, and with the owner's appreciation for its history manifest in the large vintage photographs on the walls and artifacts like the newspaper article above. 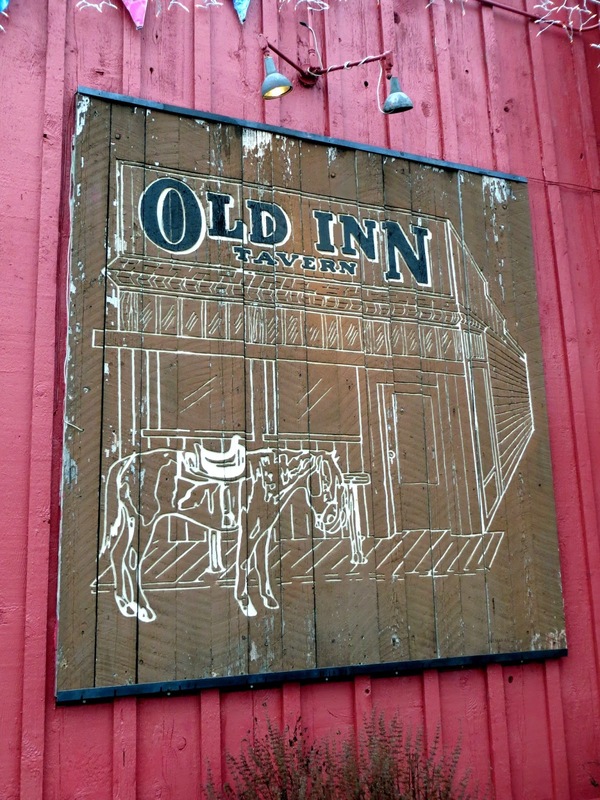 Snohomish is a fun little area for nightlife, and the Old Inn is well worth a visit for a night on the town and a piece of state history.